At Grass Monkey Collective the goal is not only to provide its patients with best-quality medical marijuana in the entire Los Angeles market, but rather to assist its patients to better understand the products and work effectively toward achieving their health goals. Grass Monkey Collective aspires to be the premier Medical Cannabis dispensary in LA, and although it might be a long way ahead, there is no denying that this dispensary is on the right road. The friendly and knowledgeable staff here is waiting to assist you with all your needs. 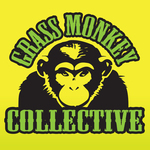 Grass Monkey Collective is constantly seeking to expand the services to its patients.